​A learning activity by Tom J. McConnell, Ball State University. Like many other animals, researchers need to know how many manatees are in an area. These numbers can tell researchers if animals are becoming more endangered, or if populations are rising. Decisions about how to manage habitats and species depends on this type of data. In this activity, you will practice the same skills as manatee researchers who do aerial surveys to count populations. Researchers at the US Fish and Wildlife Service and at Mote Marine Laboratory and Aquarium take photographs of manatees from airplanes! A pilot in a small plane will fly over the shore and the warm springs looking for manatees. When they find them, a photographer in the passenger seat will take several photos from above. The pictures are then viewed on a computer or printed in a large picture. Researchers can then count how many manatees are in the photo. By taking several photos on the same day, the scientists can record the number of manatees all along the coast. Scientists from several sites share their aerial data to help them understand the population size over the entire region. I can use photographs to count populations of manatees. I can describe factors affect the accuracy of aerial survey data. I can design ways to use the aerial surveys to study populations of other species. Download the Teacher's Guide, Data Sheets, and Printable PDF Aerial Photos using the links below! * Note to Teachers - Students may use the photos on the computer or printed on in a large format. The Teacher's Guide offers options for both methods of viewing the photos. After completing the activity, click the links below to view aerial photos of other species that can be studied using the same methods. 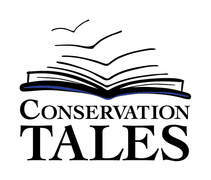 Conservation Tales acknowledge support from Mote Marine Laboratory & Aquarium.